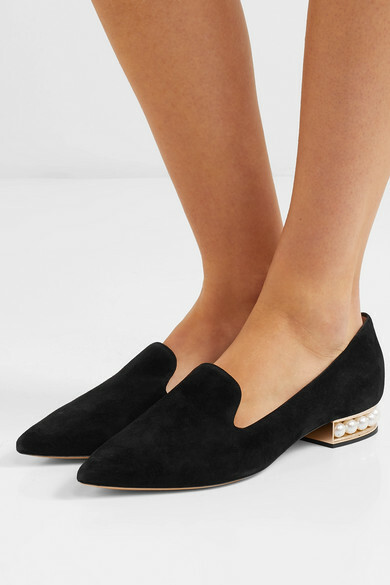 Nicholas Kirkwood's 'Casati' styles are defined by a row of lustrous faux pearls nestled between your heel and the ground - here they make these black loafers look monochrome. 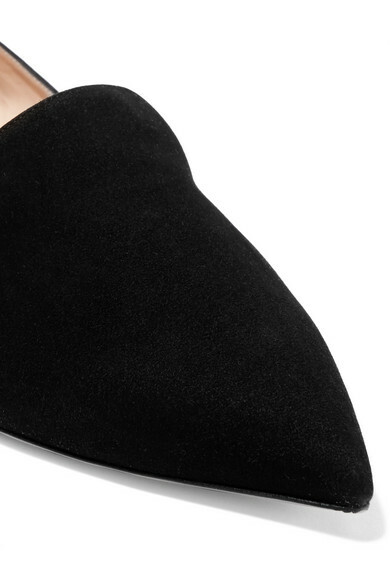 They're made in Italy from smooth suede and shaped with pointed toes. Wear them with bare legs and mini skirts, cropped jeans or tailored shorts. 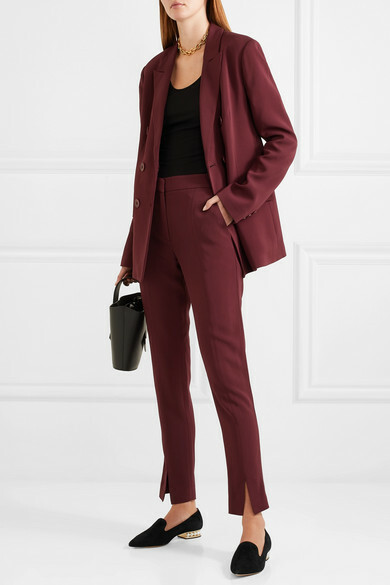 Shown here with: Tibi Pants, Tibi Blazer, Carolina Santo Domingo Tote, Chloé Choker.